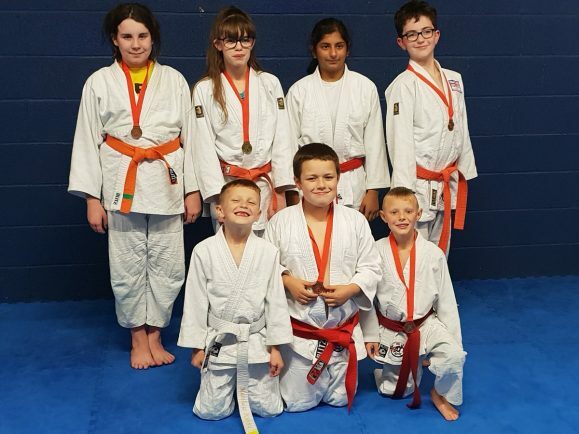 DROITWICH club Kazoku-Kan hosted their very first championship event in Kidderminster, with a number of members walking away with medals. 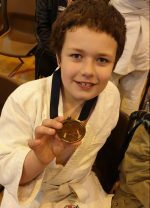 Sophie Kenny took to the mat and showed some impressive groundwork in the adaptive judo style to win her contests and earn the coveted gold medal. Newcomer to Kazoku-Kan, but representing Wolverhampton Judo Club for this competition, Leah Thakur showed grit and determination to win her fights and claim the gold medal in her category. Matty Kenny and Dylan Moore, two of the lightest fighters on the day secured bronze medals in their respective categories. There were bronze medals for James Worsfold, Joshua Warburton and Corey Chapman as well. Meanwhile, Ellie Bullock, competing in her very first event, also claimed a bronze medal after a great display of judo in her six contests. Kazoku-Kan train every Wednesday from 7pm and every Friday from 6.30pm at Physique Fitness, Droitwich Spa.